77kids.com (American Eagle) has some awesome deals for today. 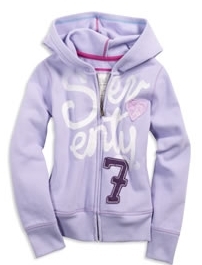 You can score the kids hoodies for only $10 (reg $29.99) by using coupon code: 43965922 at checkout (limit 4). Plus jeans are on sale for only $14.50 each and you get free shipping when you purchase 2 pairs. Note: The $10 hoodie deal is for today only.